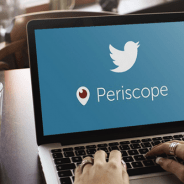 Marketing professionals consider Twitter’s new live-streaming app Periscope to be the future of digital marketing. The question is how can businesses use Periscope effectively and ultimately increase brand awareness and loyalty. Consider video broadcast timing – Most people do not have a long attention span when viewing online videos and updates. The key is to understand your target audience and then to go ahead to create captivating video broadcasts. The idea is to keep the primary message clear, concise and to the point. Your followers will have 24 hours to view your video broadcast which leaves you with enough time to reach your desired audience. Create the perfect title – The title of your video broadcast is what will ultimately intrigue your followers to watch the video, therefore it is worth spending time on creating the perfect title for your broadcast. The most effective styles of titles include techniques such as a straight-forward title which explicitly describes what the video is about. Another technique is an exclusive title which you lead your audience to believe that by viewing a particular video they are gaining exclusive access to information. An invitation to learn is another effective technique used to intrigued virtual audiences. Finding your broadcast should be easy – Periscope gives you the option to post a private broadcast or to share the broadcast on Twitter plus share the location. Sharing your broadcast on Twitter and adding the location is what will get you a bigger audience. Respond to your audience – Periscope has a feature which allows your broadcast to rank higher ,which is generated by the amount of people that ‘heart’ your broadcast, similarly as found on Instagram. By responding to your audience’s comments, you are building further brand awareness on a more personal and concrete level. Experiment – Periscope is a relatively new app and therefore leaves much room for experimenting with different methods and approaches. Since Periscope allows you to analyse a few stats you should be able to keep track on what works and what is less effective. Periscope is perfect for professional digital marketing. If used correctly it can take your business to new levels, reaching audiences far and wide and building brand awareness and loyalty every step of the way. Contact WSIOMS for all your digital marketing requirements.